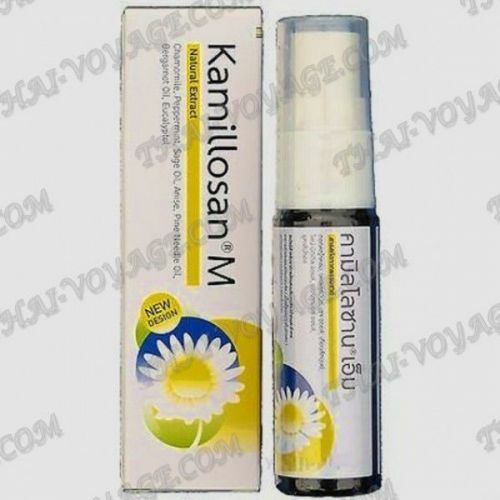 Effective Thai chamomile spray Kamillosan M based on natural oils with antibacterial effect for fast relief of pain in the throat, toothache, and to freshen the mouth. Chamomile spray Kamillosan M painkillers and disinfects, promotes healing of sores in the mouth and helps to cure a sore throat in just a couple of days. Application: Shake before use, spray the spray in the throat three times a day after meals.